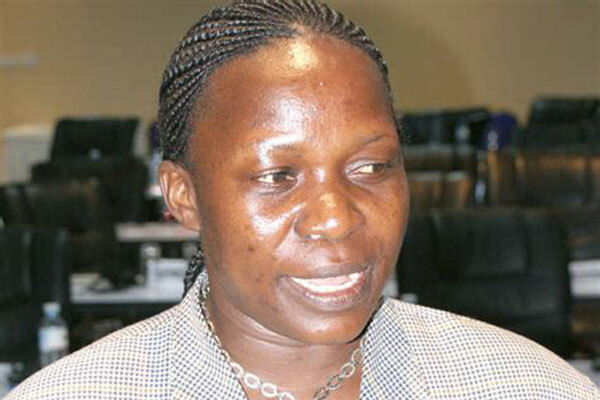 KAMPALA– The State Minister for Local Government, Ms Jennifer Namuyangu is set to dig deep in her pocket after the Court of Appeal dismissing her application that was seeking to stay an order directing her to pay political rival costs of the 2011 election appeal against her. Ms Namuyangu had run to the Court of Appeal to stay an order requiring her to pay her political rival to (rtd) Saleh Kamba over the Kibuku County parliamentary seat. However, when the case came up for hearing on Tuesday, neither Ms Namuyangu nor her lawyers appeared, forcing the three justices led by the Deputy Chief Justice Alfonse Owiny- Dollo to dismiss the matter for want of appearance. Other justices include Kenneth Kakuru and Christopher Madrama. According to the court documents, Ms Namuyangu won in the High Court but the Court of Appeal overturned the judgment and ordered her to pay her rival’s legal costs incurred in both courts. According to Kamba’s Lawyer Chrysostom Katumba, Namuyangu filed an election petition at Mbale High court challenging Kamba’s victory for MP Kibuku County in 2011, she won the petition but Saleh Kamba appealed and the Court of Appeal allowed his appeal with costs both in the Appellate court and the lower court at Mbale. Katumba told Court that he has since filed a bill of costs of Shs200m against the Minister but she blocked it till today. The justices have now advised Kamba’s Lawyer to file a fresh bill of costs against Namuyangu who was the State Minister for Water and Environment at the time, to be taxed by Court of Appeal.